Arnold Genthe was born in Berlin in 1869. After earning a Ph.D. in classical philology, he moved to the United States in 1895. He worked as a tutor, but he really loved photography. On his days off, he spent his time taking photographs in San Francisco’s Chinatown. Over time, his work became recognized and he opened his own studio. It was subsequently destroyed in the earthquake and fire of 1906. Some of the Genthe’s most beautiful work was taken in the aftermath of the disaster. Other notable works include his photographs of the Chinatown opium dens of San Francisco, Isadora Duncan’s dance troupe, and photographs of the Japanese from a trip abroad. Today, however, I want to profile the work Genthe did using autochrome between 1906 – 1912. Color photography, as we know it today, became available on a wide scale in the 1960s. It was not affordable until the 1970s. Professional photographers had access to color photography much earlier. The famous Lumière brothers invented a process to take color photographs which they patented in 1903. 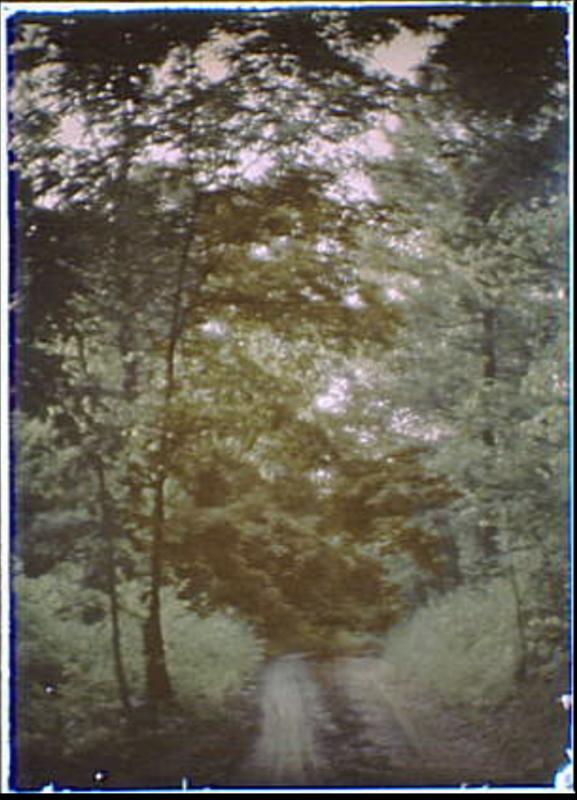 This process was called autochrome. These photographs are fascinating, and bring the past to life more vividly than most photographs are able to do.